Michael Angiolillo "The Italian Crooner"
Ain't That A Kick! They caught me looking! Having fun with the song! "and Jerry Mathers as the Beaver"
I am a solo performer featuring songs from the Big Band era through the present, including Dean Martin, Frank Sinatra, Tony Bennett, Michael Buble, Eric Clapton, Don Henley, The Eagles, Bob Seger, Elvis Presley and more. I also play guitar and would be available for singing telegrams and birthday grams. I have performed in the Denver area and the Front Range at many great venues. I will make every entertainment experience "Unforgettable". I dress appropriately for your event based on the mood you want to set from relaxed to formal attire. I look forward to meeting your entertainment needs. Sang once for my proposal and once again for my 1 year anniversary . Amazing man ,beautiful voice and will recommend. Thank you Damian, it was my honor and pleasure entertaining you and Victoria. I look forward to seeing you again in future years. Micheal sang at my mom's 90th birthday party event. He did a awesome job and was very accommodating to our event schedule. We had numerous compliments from guests on him. They were asking where I found him . Thank you to Micheal for making the event special. It was my honor and pleasure to entertain your mom, your family and friends! It was my pleasure to sing for you both. You are a great couple and I wish you many years of happiness. Thanks for the great review. I booked Michael Angiolillo to surprise my husband on the morning of his birthday. Michael was on time despite the early morning time and was very cooperative. He was energetic, fun, and sang beautifully. He helped begin my husbands birthday off amazingly. Thanks for the sterling review. It was my pleasure performing for you and Charlie! Michael did a great job for our family. Michael worked well with me to make sure the birthday songs were done right and well. He played along with the idea that he was a roof inspector, and when he showed up and began singing, my wife was totally blown away. It was a really special day, and I know it will be story we tell for years. I would definitely consider Michael in the future. An Incredible Performance and Wonderful Memory! Michael gave an absolutely incredible performance of "My Way" by Frank Sinatra for my boyfriend's 33rd birthday. He surprised him during our Monday morning sales meeting and not only gave the performance of a lifetime, but also gifted my boyfriend with a signed copy of his CD. Such a thoughtful added bonus! He was punctual (which was important when trying to work out the logistics of him coming toward the end of our regular meeting), friendly, and second to none with his communication and flexibility in planning the surprise. It was money well spent and I couldn't be happier with the experience. I would recommend him without hesitation to anyone looking to take an event from "good" to "extraordinary." Thank you for a wonderful memory!!! It was my pleasure entertianing you, Drew and your co-workers. Thank you so much for allowing me to be your performer and for the wonderful review. Michael was great. Everyone present enjoyed his music. As a Lifestyle Director, it is important for me to organize enjoyable and memorable events for our residents. Michael added that extra touch that elevated our holiday event into something special. The tunes he selected were a perfect combination of familiar classics with a touch of holiday tunes. I have received numerous compliments on his talent... and that makes me look good too! He was punctual and friendly. I have a feeling my resident will be requesting Michael for future events! We enjoyed the entertainment very much. 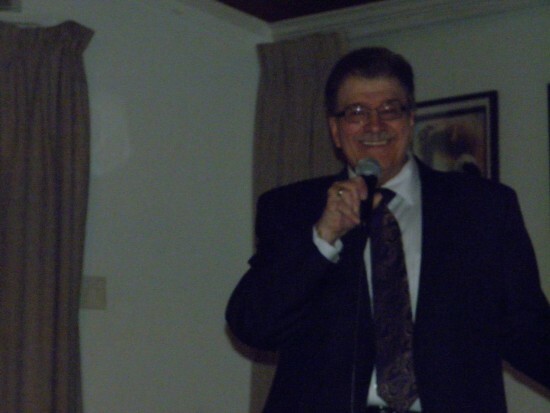 Michael Angiolillo performed 40's, 50's and swing genre music for a group of WWII veterans and their families. The evening was very enjoyable for everyone. He was very conscious of the specific group request. I was very pleased that I hired Michael as our wedding entertainer. His personal touch and professionalism, command of the performance and great vocals made our wedding reception complete. He did many genres, Rat Pack, classic rock and even some good country songs. I recommend Michael as a top performer for any event where you need vocal excellence. We had Michael preform at our annual Holiday Uncorked event and there wasn't anyone there who was disappointed. 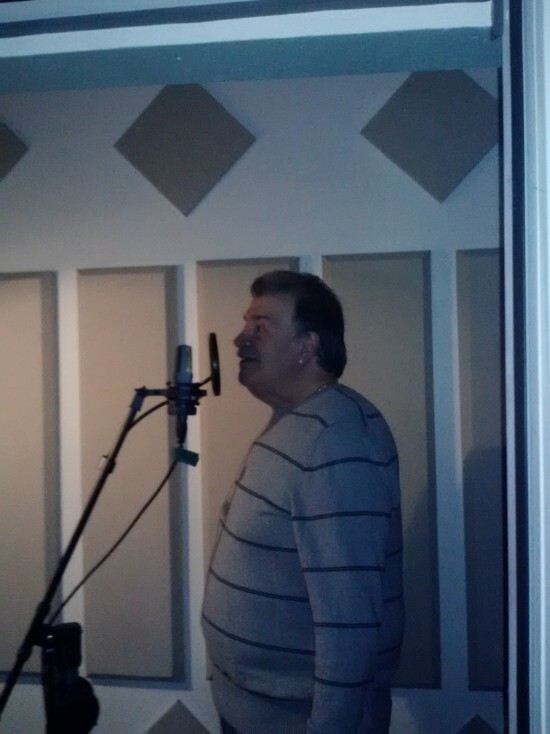 Garfield Estates is so happy with his Italian crooning we keep inviting him back year after year. His warm, compassionate personality shines through when he sings. He puts his clients first and always above his own needs. He is a passionate vocalist that we will continue to enjoy in the future. Michael Angiolillo did a wonderful job performing. He was very much in tune, and the music style was made his own although you could understand his influence. Very clearly sung, and very smooth voice. He did an outstanding job! I had a great time watching Michael perform at Prime Time Showcase. The music sounded wonderful and it was a really fun time. Michael put on quite a show at the Prime Time showcase. The music was excellent, and his showmanship and professional was top notch. Michael can really sing, and I'll be watching his calendar for more events in my area. of the genre and crowd interaction, was excellent. Can't wait to find out where he is performing locally, so I can enjoy this wonderful performer again. Michael did a great job surprising my mother at an 80th birthday celebration we had for her at Abrusci's in Cherry Creek. As a matter of fact, Michael is the one who suggested we go to Abrusci's, and the whole evening could not have turned out better. My family loved the restaurant, and thoroughly enjoyed having Michael sing to us all. 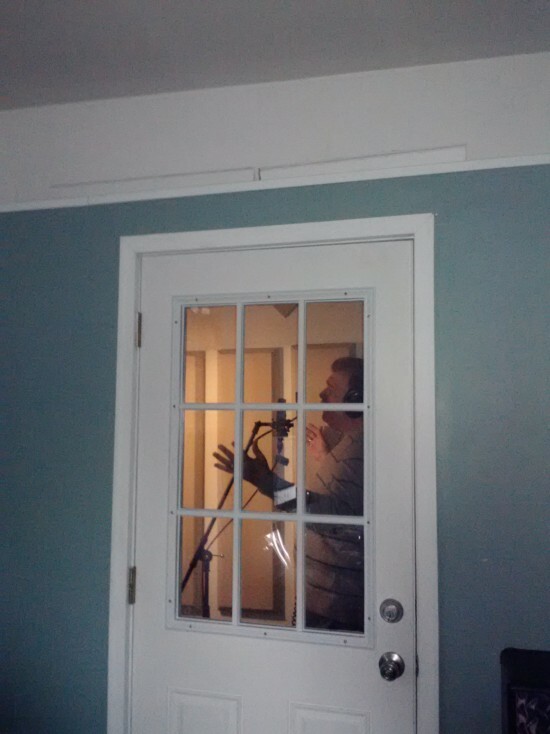 Michael seems to really enjoy singing and entertaining, and he was very receptive to what we wanted. Thanks, Michael! Genuine, heartfelt and extraordinary entertaiment!! Michael is an exceotiinal talent and a true pleasure to witness one of his performances. He is a true veteran of the stage and displays a great deal of passion and professionalism towards his art. He would be perfect for a wedding, or any event honestly. He's a good as Denver's entertainment gets. I was beyond pleased with his performance and working with him is seamless. We had the joy of having Michael come and perform at our facility (skilled nursing home) on Mother's Day! He was extremely professional and gave us quite a performance. Our residents loved listening to all of his standards from the Rat Pack, especially Dean Martin. He was attentive to all and obviously loves what he does. I would defintiely hire Michael again, and look forward to seeing him perform at our facility again in the future. Thank you Michael for a great performance and your professional service! Michael is a true entertainer! Michael produces an exceptional musical entertainment showcase. He has the ability to engage the interest of his listener’s. His talented vocal performances, of all-time favorite songs, by great artists, along with his kind-hearted, good nature, create the ambiance of this true entertainer. He puts his heart and his soul into every song, every show! You don’t have to be an artist or a musician to love and experience Michael! He comes highly recommended! My wife and I are so thankful Michael performed at our wedding. We both were so happy that Michael was able to be a part of our special day. We look forward to being able to see another performance next time we visit the Denver Metro area. We've had Michael entertain our customers twice now, and each time has been a true delight. The customers love him, as do we, and our sales go through the roof. Michael is very easy to work with and is very conscientious, not to speak of talented. I have been to several events where Michael has performed. Whether he is performing his signature crooning or classic rock and roll, he has his audience engaged and having a great time. When he sings, his passion for performing is clear. Dean Martin, Frank Sinatra, Tony Bennett, Al Martino, Tom Jones, Otis Redding, Wilson Pickett, Barry White, Eric Clapton and many more. When you are looking for a well-rounded and diverse entertainment experience, Michael can provide either a dedicated genre or mixed genre song set for whatever musical needs that your event requires. Please feel free to contact him to tailor your event's musical experience or to request a sample song list. Michael was born and raised in Brooklyn, N.Y. in an Italian family where he developed a tremendous admiration for the Big Band Crooners, like Dean Martin, Frank Sinatra and Tony Bennett, whose music played regularly in his home. By the age of 6 he was already singing in the children’s choir at St. Francis of Assisi church and developing a deep appreciation for all genres of music. The love he developed for music started a relationship that has spanned over 5 decades and continues to be a dynamic force in his life. Over the years Michael was active in both church and secular music, forming his first band at the age of 14 with four school buddies and playing the hits of the Beatles, the Rolling Stones and the Dave Clark Five. In 1965 after years of singing in the church choir and then in the choir of his high school alma mater, Cathedral High, he was honored to be selected to perform acapella for Pope Paul VI, before over 67,000 people, an experience he will never forget. In 1966, Michael became part of a successful and popular Brooklyn band called the Night Dwellers, the band was very eclectic, playing classic rock, soul and R & B and developed a good following. While attending college, Michael returned to his roots, putting together an all occasion’s band, where he served as front man playing guitar and handling much of the vocals. Playing the familiar tunes of his childhood days and singing Dean, Frank and Tony’s classics as well as a nice eclectic mix of rock, soul and R & B. Michael left New York in the early 70’s and moved to Florida where he was mildly active in a solo capacity with mostly acoustic performances to small intimate audiences. But between working a full time job and being a parent, there came a hiatus in his career for a number of years. Although not performing professionally, he never lost his love for music, playing guitar and singing for friends and family alike. In 1997 Michael left the Sunshine state for the beautiful mountains of Colorado. There the seeds of music began to flower again and despite a huge setback due to interstitial lung disease, he returned to his passion once more in 2010 and continues to provide audiences with music from the Big Band, Classic Rock and R&B genres. Staying true to his passion, his mainstay is the Big Band genre but his eclectic style allows him to perform whatever the event calls for. Michael now performs regularly for many retirement and nursing facilities in the Denver metro area and additionally at such beautiful venues as 3 Sons Italian Restaurant in Arvada, the historic Astoria Bar in Ft. Collins, and Denver Winery Row, Delvickios and Prime Time Showcase in Colorado Springs to name a few. 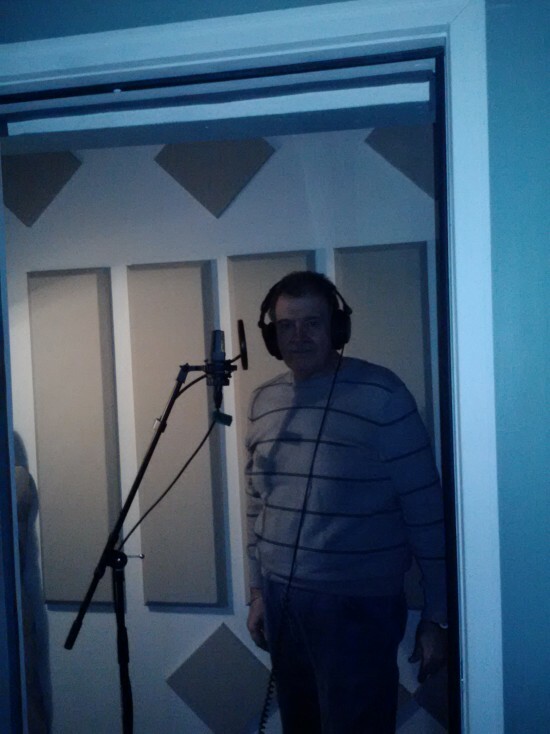 Michael also has performed at the VFW in Commerce City and at the American Legions in Lakewood, Arvada and Broomfield. He is available for both public and private events, such as corporate events, weddings, anniversaries and family reunions. In January of 2012, Michael traveled with his biggest fan, his daughter Kathy, to Austin, Texas where he was an America’s Got Talent participant. Another fantastic experience that will stay with him for life. In September of 2012, Michael traveled to Laughlin, Nevada where he competed in the Talent Quest National Finals. He finished in the Male Masters Top 20 in the contest. In late 2012, Michael went back into the studio to work on his debut CD titled "Ain't That a Kick". The CD was released on February 5, 2013. For more details on the CD see our CD & Video page on our website, or contact Michael directly here through Gig Salad. In addition he donates his musical talent and experience for fundraisers where he assists good causes to meet goals that might otherwise be unattainable. He also has performed for his local HOA at their annual picnic just to bring some fun and enjoyment to the community in which he resides. If you would like to hire Michael for an upcoming event, or request him to perform at a fundraiser, please see our website Contact Us page for directing your request to him personally or respond directly here through Gig Salad. Michael can provide his own PA system and microphones which can be wired or wireless to suit your needs and the size of the venue. Of course Michael will be happy to use a system which is provided by the venue if that would be an option. Also Michael can play music on acoustic, acoustic/electirc or solid body electric guitars. When you are looking for a well-rounded and diverse entertainment experience, Michael can provide either a dedicated genre or mixed genre song set for whatever musical needs that your event requires. Please feel free to contact him to tailor your event's musical experience or to request a sample song list. Since early childhood Michael developed a tremendous admiration for the Big Band Crooners, like Dean Martin, Frank Sinatra and Tony Bennett and also young crooners like Michael Buble and Harry Connick, Jr. The 60's era also was a big influence on Michael with the British Invasion and of course let's not forget the immortal favorite Elvis Presley!